KVMSwitchTech’s New 8/16 Port RS232 Router Provides Consolidated Remote Management of Distributed Display Technology. KVMSwitchTech believes in providing intelligent solutions for the management of all keyboard, video, and mouse installations. Their KVM product line now includes a local management option through the use of a dedicated RS232 port. 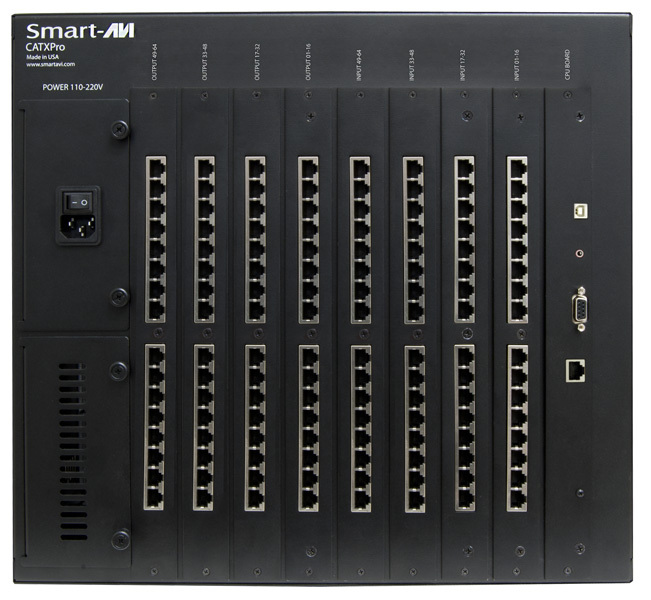 This allows system administrators to control a vast range of solutions including Video Matrix Switches, DVRs, PCs, and Digital Signage. As each system grows in complexity, a new problem begins to grow as well. How does an administrator control all of these systems without having to travel from station to station? The answer is KVMSwitchTech’s new 8/16 Port RS232 Router. KVMSwitchTech’s 8/16 Port RS232 Router connects to each managed device over standard Cat5e/Cat6 network cable. The 8/16 Port RS232 Router can be controlled through a local RS232 port, or it can be controlled remotely over the internet (requires a separate TCP/IP controller). The internal clock can be used to help automate functions such as scheduled equipment shut-down. This is perfect for saving both administrator time and energy. It has been built with convenience and space savings in mind and comes in a 1U form factor for installation in rackmount enclosures. This system allows users to control multiple HDMI Matrix units for a wide range of Digital Signage applications. KVMSwitchTech is a world-wide distributor of Keyboard, Video, and Mouse solutions. Our expert staff has many years of experience in the KVM industry. It consists of sales people, technicians, and engineers who are proficient in the use of the product and can provide you with clear and concise solutions for all your applications. KVMSwitchTech provides live phone support without the need to navigate a complex automated phone system. All calls are routed directly to a live representative who can help you design and implement your entire KVM strategy from the ground up.